Q. What are the difference between four web sites? A. Pinas Square offers conversational lesson for adult with affordable fee. Pinas Kids offers conversational lesson for elementary students with affordable fee. 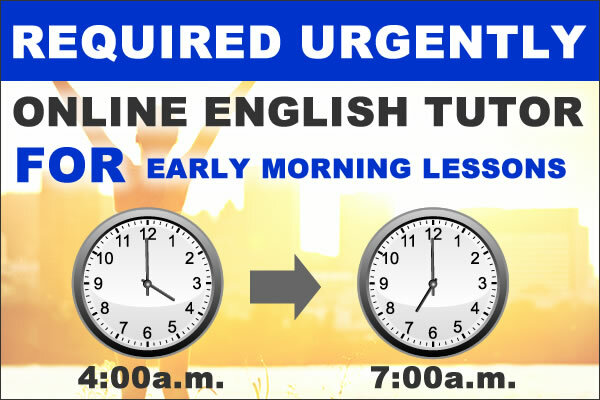 Pinas Tutor offers curriculum and conversational lesson for beginner level learners with higher fee. Pinas Speech offers curriculum and conversational lesson for intermediate level learners with higher fee. Q. What types of teaching positions are offered by the Pinas Group? A. The Pinas Group offers outsourcing contract which may be temporary or indefinite duration, depending on the performance of the teacher. It offers Ordinary teaching post and Expert teaching post. 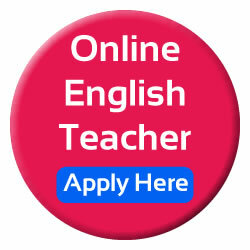 To see which position is suited for you please access “Online English Teachers” page. Q. How should I send my application? A. You must apply on-line for specific job openings available through the e-recruitment candidate portal. Please consult the “how to apply” section of this website. Bearing in mind the large number of applications received and our aim to process them efficiently, we can only accept on-line applications to current vacancies. Application forms or CVs sent by post, fax or e-mail will not be accepted. Q. How do I know if my application has been received? A. You will receive an automated acknowledgement of the application to the e-mail address you have provided, as soon as your details have been integrated into the systems database. Q. Should I send diplomas and certificates when I apply? A. Copies of diplomas are not required when applying for the job. Q. Should I go to your office to submit my application? A. The program is merely for Filipinos who are presently reside in the country. A. The online application is open every day and anytime. Q. I am under 20, am I qualified to apply? A. The recruitment team can only accept applicants whose ages are from 20 years old to 55 years old. Q. Is the Web camera necessary for an interview? A. It is not necessary for the interview, but it’s required on our lesson. Q. Do I need to visit your office? A. You don’t need to visit our office. We conduct interviews, guidance and training sessions through Skype. Q. What is the time limit for submitting an application? A. The e-recruitment application on the website is the sole point of reference. Applications are accepted for as long as the vacancy is advertised therein. Certain specialised sites may also publish advertisements, although the Pinas Group is not responsible for any delays in updating. If necessary, additional information (deadline, post not immediately vacant, preliminary campaign, etc.) is included in the advertisement. Q. What will happen with my application if it is not successful? A. Within 5 days from the date of your interview, you will receive an e-mail about the result of your application. All application data and documents are treated with the utmost confidential. Q. What training can I expect? A. A basic training is to be given for newly qualified teachers. A newly qualified teacher will be taught how to do the free conversation lesson and website news lesson. If you have any queries about please e-mail us. Q. What is an Expert Teacher? Q. Expert Teacher does free flow of conversation and main lesson. A. By doing the lesson, an Expert Teacher prepares a lesson material which is customized to the learner English level and need. Q. What is an Ordinary Teacher? A. If you are a new comer for teaching the English language or have 1 year to 2 years’ experience on English teaching, this is a portal for you to a rewarding home job career. Q. What time is the peak time of lessons? A. Peak lesson time is between 4am and 9am, 7pm and 11pm during weekdays. But for weekends, peak time covers all morning and evening slots. Q. What is a free Conversation Lesson? A. A free conversation lesson is a kind of lesson which is customized with the student’s preference. In a free conversation lesson a teacher discusses topics about culture and lifestyle, business and economy, politics, foods and health, travel and other topics. Q. What is a website News Lesson? A. A website news lesson is a lesson about news from different online news. To name a few, BBC breaking news, CNN breaking news, Fox Reuters, Bloomberg and other Online new site. Both of the teacher and the learner talk about the issue. In a website news lesson, the teacher also teach good English expression, grammar and vocabulary and English phonetic sounds of words. Q. What is a Main Lesson? A. A main lesson is a material made by Pinas Group. This material is used for Pinas Tutor students.